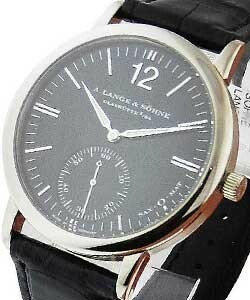 This watch is also known as: Model , 309031 , 309-031 . 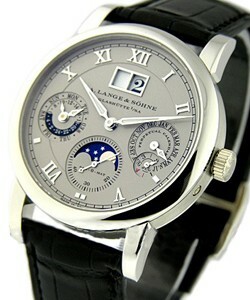 A. Lange & Sohne 309.031 is the finest watch all over the world. 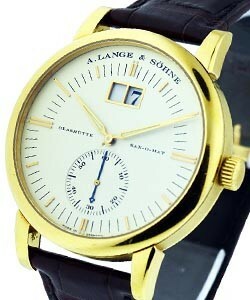 A classical, simple & very elegant dress watch - slightly larger than the original version. Extra attention is given to the hand decorated finishing of every surface - both visible & concealed. 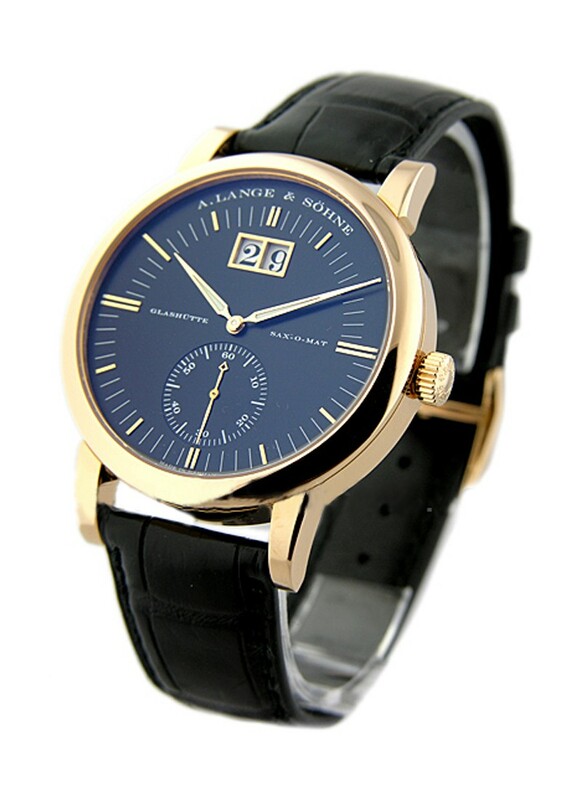 This watch features: Black colored solid silver dial with Gold Tone index hour markers Patented large double window date display located at the top of the dial, with a quick date-correction button located on the case edge at the 10 o'clock position. 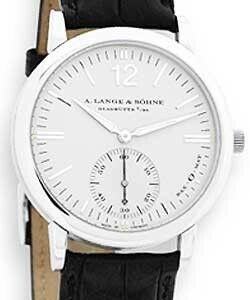 Small Seconds sub-dial located at the bottom of the dial. In addition this watch has a "Zero Reset" seconds hand which resets the seconds hand to zero when you pull out the crown to adjust the time, this makes it extremely easy to synchronize the watch to perfection.Lumincent Hands. The movement has 45 jewels & beats at 21,600 vph. 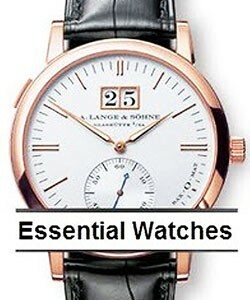 The movement has an approximate power reserve of 46 hours. 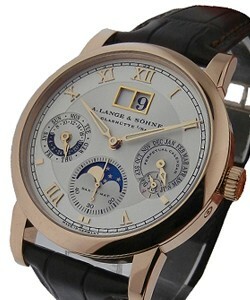 All this features make it an exotic timepiece. 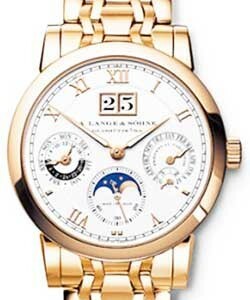 Also "There?s something we should expect not only of our watches, but also of ourselves: to never stand still." 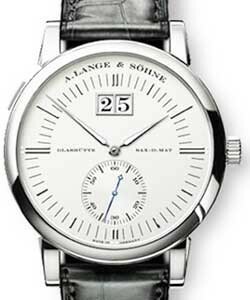 Following this motto coined by Walter Lange, the manufactory?s watchmakers are not only committed to pursuing the legendary quality standards embodied by the historic pocket watches crafted by A. Lange & S?hne, but they are also on a constant quest for unusual and forward-looking mechanical solutions. Their self-declared aim is to endow each new model with at least one new invention or a useful refinement.